It's finally here! 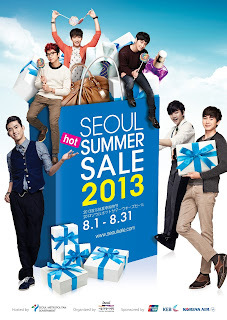 The 2013 Seoul Hot Summer Sale you have long awaited starts on August 1! Department stores, duty free shops, cosmetics and clothing vendors, as well as theaters and tourist attractions in Seoul will provide discounts of up to 60% to foreigners traveling in Korea.